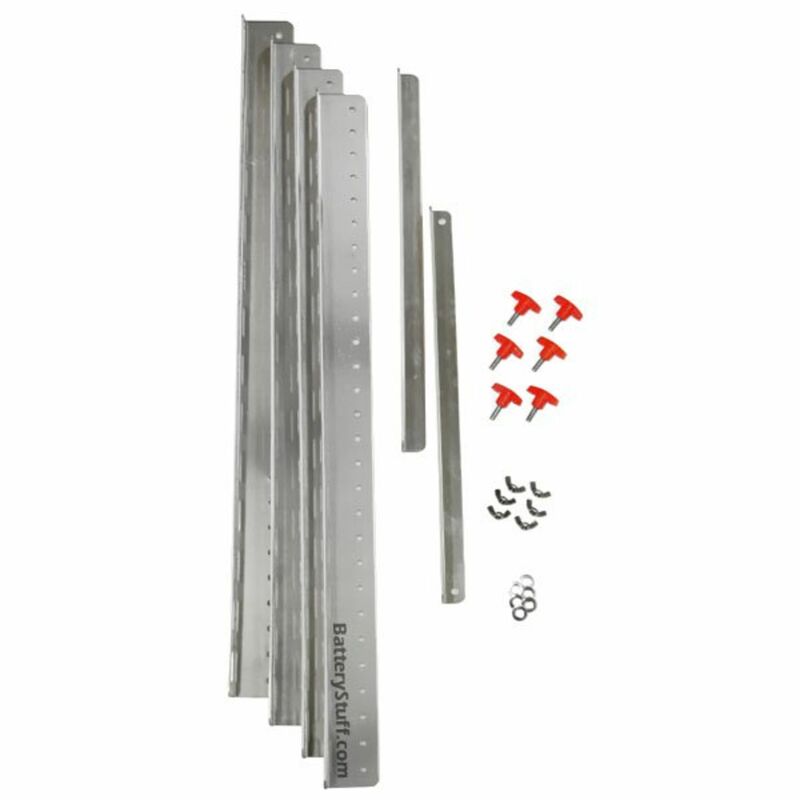 This Universal Angle Adjustable Mounting Bracket Kit works for mounting panels on flat surfaces. Use with our Panels 45 watts and up. Kit includes brackets and hardware. Installation is simple. Turn panel over to expose holes in frame. 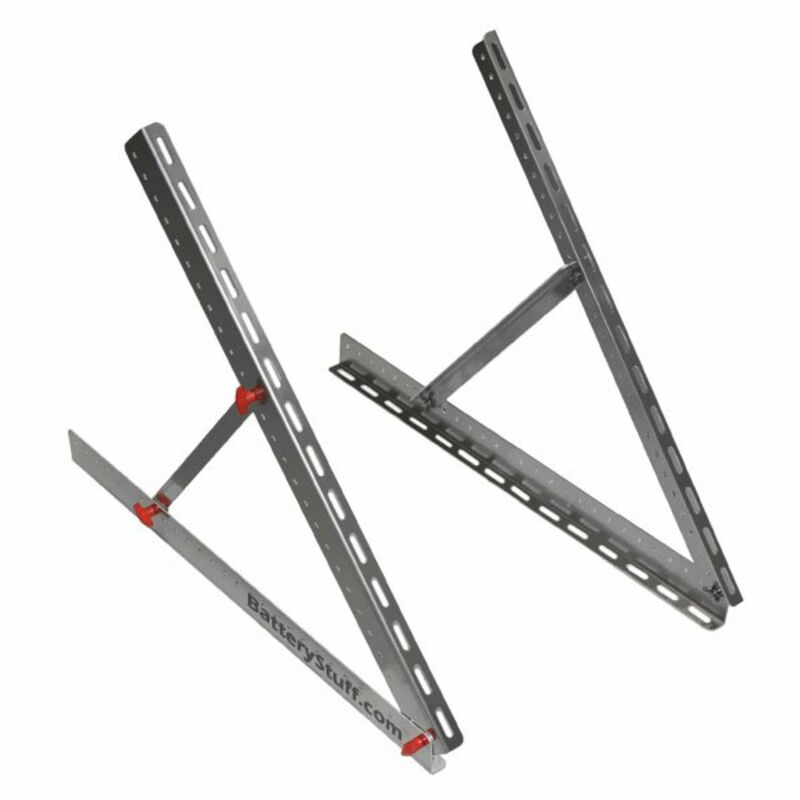 The multi-holed brackets should be attached to the frame and secured using the nuts and bolts provided. It's important that the brackets are parallel to each other, on opposite ends of the panel's metal frame. It's also important to have one end of the brackets hang beyond the frame as this will be used as a pivot point for the other brackets. The other multi-holed brackets should be positioned at these pivot points and held in place with the provided hardware. 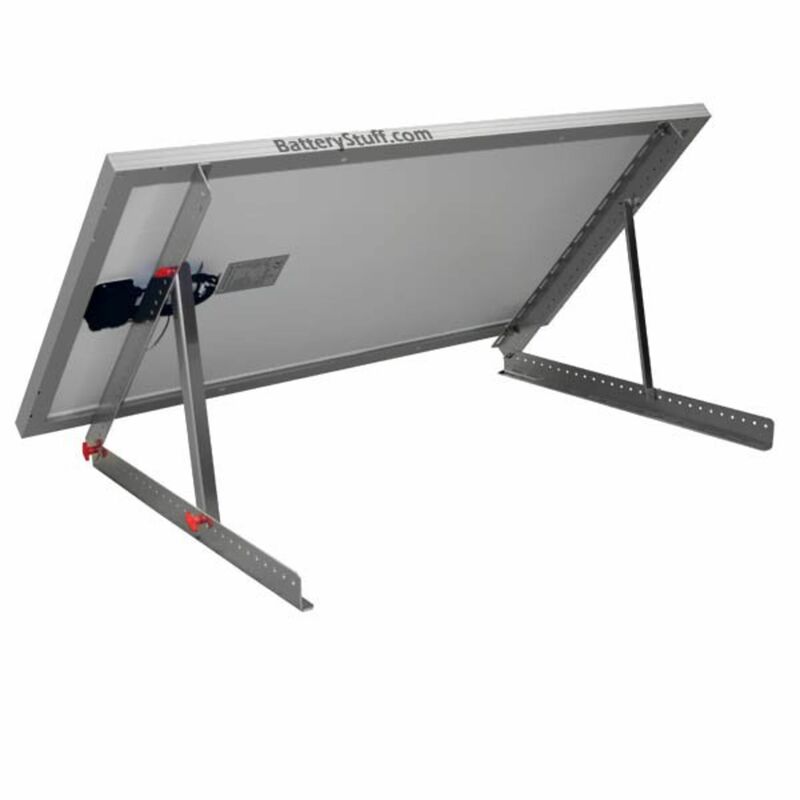 This allows the bracket to be adjusted for various angles, including 0° for a flat panel. The remaining brackets can be installed on various combination of holes, each providing a different angle of adjustment. 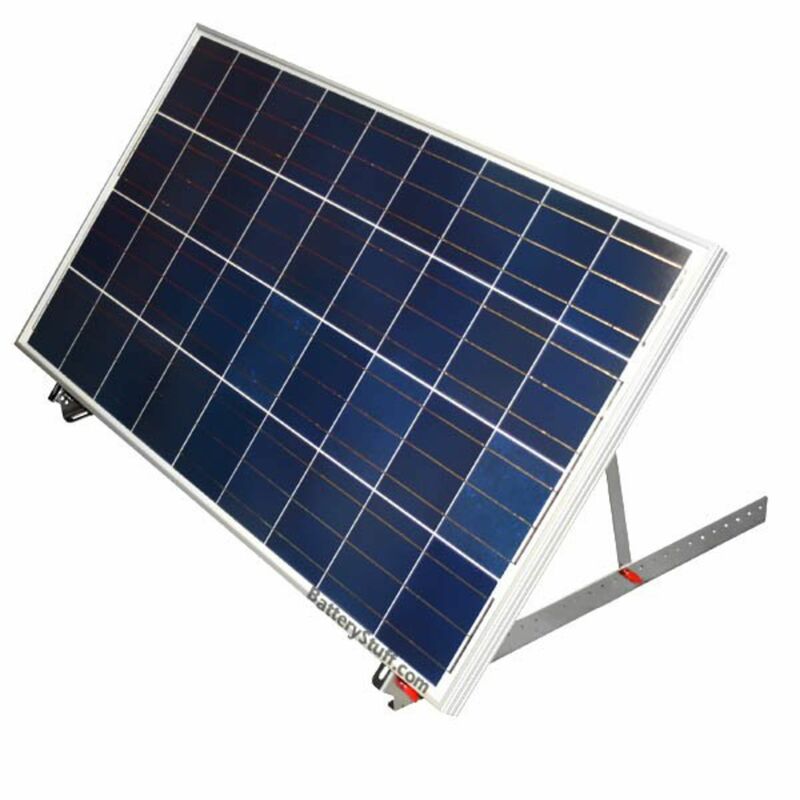 Using the SLB-0103 Bracket Kit will ensure the solar panel is safe and securely in place. The solar kit also provides space underneath the panel for airflow to prevent overheating (which can cause the panel to become less efficient). Do you own the SLB-0103? Please, tell us what you think about it. It helps us provide you with better products. Please note that it may take up to 72 hours for your review to appear.